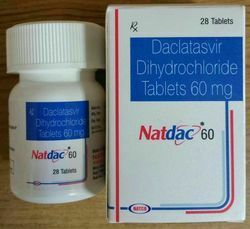 Providing you the best range of dacihep 60mg tablets, natdac 60mg tablets, dactovin tablet, mydacla 60mg tablets, hepcifix 60mg tablets and daclawin 60mg tablets with effective & timely delivery. 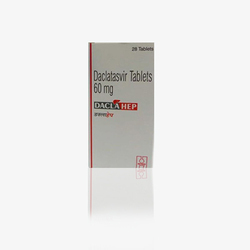 This medicine has the brand name of DACIHEP and contains the salt DACLATASVIR. It is manufactured by ZYDUS and is available in packaging of 28 tablets per bottle. 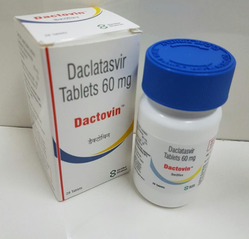 This medicine has the brand name of Dactovin and contains the salt Daclatasvir . It is manufactured by SS and is available in packaging of 28 tablets per bottle. 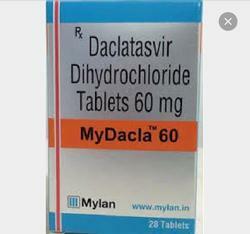 This medicine has the brand name of MYDACLA and contains the salt DACLATASVIR. It is manufactured by MYLAN and is available in packaging of 28 tablets per bottle. This medicine has the brand name of HEPCFIX and contains the salt DACLATASVIR. It is manufactured by DR.REDDY and is available in packaging of 28 tablets per bottle. 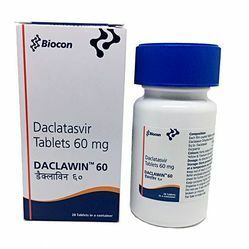 Daclawin 60mg Tablets medicine has the brand name of DACLAWIN and contains the salt DACLATASVIR. It is manufactured by BIOCON and is available in packaging of 28 tablets per bottle. 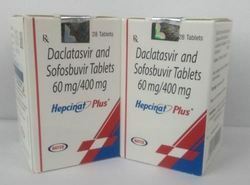 Daclatasvir 60mg tablets are used for the treatment of hepatitis c. Medisellers, the leading exporter of pharmaceutical products and medicines across the world. We provide the best quality medicines and quick services for all customers around the globe with all necessary tracking information of the products. We are a specialist in hepatitis medicines like hepcinat , ledifos , hepcinat lp , myhep , hepcvir , sofovir , sovihep , lisof and many more. We also deal inanti cancer products, steroids, growth hormone, eye care, skin care creams, multi vitamins, insulin, anti hiv, botox and many more. These can be availed at reasonable prices. We have our export network in and have deal with clients from united states, europe, united kingdom, uae, singapore, china, japan, africa, middle east and south east asian countries. For more details , contact us on. 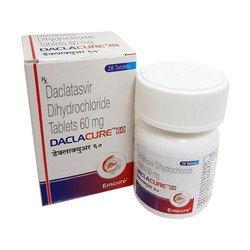 This medicine has the brand name of Daclacure and contains the salt Daclatasvir . It is manufactured by EMCURE and is available in packaging of 28 tablets per bottle. 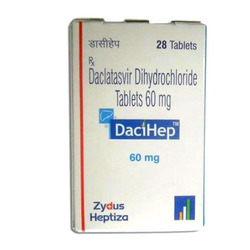 This medicine has the brand name of DACLAHEP and contains the salt Daclatasvir . It is manufactured by HETERO and is available in packaging of 28 tablets per bottle.